Deccan Chargers represents the legacy of Hyderabad in the IPL. The team was bought by the popular media group based in Hyderabad, the Deccan Chronicle for $107 million in the IPL auction 2008, making it one of the most expensive teams back then. Its owners are E Venkatram Reddy who is the Chief Operating Officer and Director of Operations of the team as well, and his suave looking daughter Gayatri Reddy who is more of an unofficial help to him. Dinesh Wadhwa, who was one of the former Regional Managers of ICICI bank, is now the CEO of the team. They went into the IPL 2008 having bought Andrew Symonds for a colossal $USD 1.5 million, making him their most expensive player in the first three seasons. Apart from Symonds, they were able to purchase two of the hardest hitters of the cricket ball ever, Adam Gilchrist and Shahid Afridi. South Africa’s Herschelle Gibbs, New Zealand’s Scott Styris and Sri Lanka’s Chaminda Vaas were the other foreign players signed up by the team. Whereas amongst the Indian players, Deccan was to see a talented bunch playing for them as the then new sensation, Rohit Sharma was picked as well as RP Singh, Pragyan Ojha and Venugopala Rao gained contracts to play for the team. However, it was the local boy VVS Laxman who was appointed as the captain of the team for the whole season, although his reign lasted for only 7 matches. He refused to be the ‘icon player’ of the team so that the owners have enough funds to purchase other players, especially Indian youngsters which can make the team stronger. What is Indian cricket without VVS Laxman? Deccan Chargers came into the opening season of the IPL as one of the red hot favourites to win the competition, since they had a starry line up which was suited the most to play T20 cricket. But the team underperformed to a massive extent and was a fine example of the fact that a team filled with star players do not make teams win necessarily, and especially in T20 cricket which depends on some fortune and hard hitting as well. They began their ill-fated campaign against another ‘favourite’, Kolkata Knight Riders at the Eden Gardens in Kolkata which is known best till date for the captain VVS Laxman’s 281 in a Test match against Australia. But by the end of it all, Kolkata won by 5 wickets and Laxman was left fuming, a rare instance as he blasted the curator for preparing a ‘minefield’ of a track. Deccan could only manage 118 in their 20 overs. Their next two matches were scheduled to be in Hyderabad but lost both of them, one to the strong Delhi Daredevils courtesy Sehwag’s 41-ball 94 and the other one to the relatively weaker Rajasthan Royals side. Deccan Chargers however, managed to register their inaugural win in the IPL that year, against the Mumbai Indians at the Wankhede Stadium in Mumbai. It was a crucial away win for the team as Adam Gilchrist lit up the ground with his brilliant unbeaten 109 off just 48 balls, which was then the fastest century ever scored in the competition until Yusuf Pathan broke the record in 2010. Even the opposition fans were cheering for Gilly in the innings as he and captain Laxman put on 155 for the first wicket, ensuring a 10-wicket victory for the team. However, they lost their next home game to the Kings XI Punjab by 7 wickets and a close contest to the equally out of sorts Royal Challengers Bangalore in Bangalore by 3 runs. They managed to pull off their second and the final win of the competition as they defeated their Chennai Super Kings in Chennai by 7 wickets as Adam Gilchrist won his second man of the match award for his 36-ball 54. But the Deccan Chargers team management wanted results desperately and so they decided to handover the captaincy to the in-form Gilchrist while Laxman’s future with the team also remained uncertain, despite being its icon player. That did not however, turn out to be a masterstroke as Deccan was involved in a 7-match losing streak, which included defeats to Kolkata, Mumbai, Chennai and Bangalore at home and Rajasthan, Delhi and Punjab away from home. Royal Challengers Bangalore did slightly better than them, which meant the Deccan Chargers had to sit pretty at the bottom of the points table with 2 wins and 12 losses in 14 matches, a disastrous outing needed which called for a few changes, although the team went on to do many of them. Come the 2009 season and it began with a completely new administration, leadership and looks as well as the jersey born the ‘Deccan Chronicle’ brand and its colour changed from the sober green to a more vibrant dark blue, with the logo now being of a ‘charging’ bull, similar to the one of Queensland in Australia which gives suggestions that perhaps it is the coach Darren Lehmann who is behind this idea to give the team a more fearsome look on the field. They also signed up players such as Australian pacer Ryan Harris and domestic players such as Azhar Bilakhia, Jaskaran Singh, Harmeet Singh, Shoaib Maqsusi and Tirumalasetti Suman were signed outside the auction. Whereas, in the 2009 players auction, they managed to purchase the West Indies’ duo of Fidel Edwards for $USD 150,000 as well as Dwayne Smith for $USD 100,000. So it was all set to a better season than the first one, but who would have ever though that it would turn to be their ‘best’ season of all? Their first match of the tournament in South Africa was once again, vs. Kolkata Knight Riders in Newlands, Cape Town. This time though, Deccan posted their first win against Kolkata in the history of the IPL, winning by 8 wickets as RP Singh ripped through the opposition batting line-up with a devastating spell of 4/22 in 3.4 overs. The next game was against one of their southern rivals, the Royal Challengers Bangalore at the same ground and won by 24 runs, as Adam Gilchrist played a captain’s knock to win yet another man of the match award for the team, with his 45-ball 71. Deccan Chargers were scheduled to play their next two games against the Mumbai Indians and their other southern neighbours, Chennai Super Kings at Kingsmead, Durban. The Chargers prevailed by a narrow 12 run margin against the Mumbai Indians as left-arm spinner Pragyan Ojha was named man of the match for his bowling figures of 3/21 in 4 overs. While against Chennai, the local boy Herschelle Gibbs masterminded the team’s run chase with his 69 runs off just 56 balls at his home ground, to see Deccan through by 6 wickets and ensuring that they remain on top of the table with 4 consecutive wins right at the beginning of the competition. The team was suddenly looking in ominous form as they seemed to be a much happier bunch of players under Adam Gilchrist and different conditions to play in. They did however; suffer the bout of ‘inconsistency’ which can happen to a team in T20 cricket which is in extremely good form. Deccan Chargers suffered their first defeat in the IPL 2009 against the Delhi Daredevils at Centurion by 6 wickets. That was followed by a 3-wicket defeat to the defending champions Rajasthan Royals at Port Elizabeth, while they were crushed by the Chennai Super Kings in the second match between them in the competition by 78 runs, at Centurion. They completed a clean sweep against the Mumbai Indians in the competition with a convincing 19 run win at Centurion as the young Rohit Sharma won his first man of the match award in an IPL game, for his 38 with the bat and more importantly a hat-trick with his part-time bowling, which was the first of the competition that year and he finished with bowling figures of 4/6 in 2 overs. The following two matches were at Kimberley for the team, and they lost the first one to the Kings XI Punjab by 3 wickets but two days later, beat Rajasthan Royals by 53 runs thanks to Dwayne Smith’s 32-ball 47 which won him the man of the match award and this could have proved to be the biggest morale booster the team needed, to advance ahead in the tournament. Delhi Daredevils were too good for them at Durban, as they lost by 12 runs and another defeat could have occurred in the hands of Kolkata Knight Riders at Johannesburg in the next game, if it was not for 21 runs scored off a shambolic final over by Rohit Sharma, off the bowling of Mashrafe Mortaza. There was more fortune for them since they since had a better net run rate than Kings XI Punjab, which made them qualify narrowly for the last four. They were undone by Yuvraj Singh’s hat-trick in Johannesburg, losing by just 1 run and the young and rookie opening batsman Manish Pandey’s century made Deccan lost by 12 runs to the Royal Challengers Bangalore. Deccan finished fourth on the points table by the end of the round robin stage, which meant that they had to face the Delhi Daredevils in the semifinal. Many predicted that this could be the end of their roller coaster ride in the tournament, but it was not to be. Delhi after having won the toss put up a sizeable total on the board but it was cut into size with Adam Gilchrist’s blitzkrieg off just 35 balls, as he was dismissed after scoring as many as 85 runs. This was the fastest fifty ever in the IPL competition, and with some help given by Andrew Symonds’ attack on fellow Aussie Dirk Nannes, Deccan upset the much stronger Delhi team by 6 wickets to make it to the grand finale at the Bull Ring in Johannesburg. The final was against the team which finished just above them in the last year’s competition, Royal Challengers Bangalore. Gilchrist won the toss and chose to bat first, but he was dismissed in the very first over by his counterpart and legendary Anil Kumble. But a thorough team effort saw the Chargers post 143/6 in 20 overs. This might have been a below average total on the ground which is known for its flat pitches, but proved to be adequate enough in the final. Deccan won by 6 runs in the end, as Adam Gilchrist was exuberant yet nerveless as captain, using his intellect very well in determining bowling and fielding changes. He won the man of the tournament award for scoring 495 runs and inflicting 15 dismissals, not to mention the excellence of his leadership. Deccan had won the IPL almost 12 months after finishing bottom-ranked, which is a huge life-lesson for many. What a turnaround indeed! On the basis of being IPL champions, Deccan Chargers qualified for the Champions League T20 in 2009 alongside the Royal Challengers Bangalore and the Delhi Daredevils. They were one of the pre-tournament favourites to win it, since it was held in India and the form of the team was brilliant. Both the group matches were to be played at home. They were grouped alongside West Indies’ champions Trinidad and Tobago and England’s Somerset Sabres. Their first match was against Somerset in Hyderabad, which they lost a narrow 1-wicket margin as Alfonso Thomas took the game away from the champion team with his 30 with the bat lower down the order, helping his side chase down 153 and the winning runs were hit on the last ball of the match. Whereas, the second match was against Trinidad and Tobago at the same venue but a much weaker and unknown Trinidad team managed to pull off the first biggest upset of the tournament, beating the Deccan Chargers in their own backyard by 3 runs as Adam Gilchrist’s 51 went in vain. Deccan had not yet won a game at home and they were knocked out of the competition in the first round itself. Deccan Chargers were still a formidable outfit to beat, even in Indian conditions as they were the defending champions in the tournament. The team might have found it fortunate that there were no matches to be played in Hyderabad, as their home venues were Cuttack, Nagpur and Navi Mumbai. While the other good news for them was that they bought foreign players such as West Indies’ pace sensation, Kemar Roach and Australia’s U-19 World Cup winning captain that year, Mitchell Marsh. As well as they were several Indian players such as Mohnish Mishra, Rahul Sharma and Anirudh Singh added to the squad for the one season. They opened their campaign disastrously with a defeat to the bottom ranked team of the last season, Kolkata Knight Riders by 11 runs in Navi Mumbai with the batsmen recklessly throwing their wickets away in a target which could have been chased down easily. They did not play as if they were the defending champions, as Sourav Ganguly’s side was not expected to win against them. However, they went on to win their next three matches as they were able to beat Chennai Super Kings at the Chidambaram Stadium by 31 runs as the legendary Chaminda Vaas was on fire in the last game as well as this one, having picked 4/21 in 4 overs. The next game was a close contest against the Kings XI Punjab at Cuttack, where they prevailed by 6 runs courtesy Andrew Symonds’ 53. And at the same ground in the following game against the Delhi Daredevils, Symonds was at it again as Deccan won by 10 runs as his 3 wickets made a massive difference eventually. But then disaster struck big time. Deccan Chargers surprisingly slumped to a five match losing streak, which began with an 8-wicket thumping in the hands of the Rajasthan Royals in Ahmedabad. Mumbai Indians then, beat them by 41 runs in what should have been their ‘home’ ground, Navi Mumbai. Kolkata Knight Riders followed suit and completed a clean sweep in the 2010 IPL against the Deccan Chargers, winning by 24 runs at the Eden Gardens. Deccan went back to Mumbai but to the Wankhede precisely and lost to the hosts by 63 runs, as they put up a clinical team performance. Followed by which, Rajasthan Royals as well ensured that they win both their games against the champions, winning a cliffhanger by 2 runs. The team was not expected to put up a big fight and it seemed a déjà vu of 2008 was to happen, as they were one of the bottom ranked teams in the points table. However, Gilly and co. showed why they were the numero uno team in the IPL 2009 with an impressive fightback as they covered up for their previous failures, winning five matches on the trot. They beat the finalists of last season, Royal Challengers Bangalore in both their encounters. They won by 7 wickets in the Bangalore clash, as the young Tirumalasetti Suman hit a match winning 78 in the run chase while in the match in Nagpur, Deccan Chargers managed to pull off a 13 run win with Harmeet Singh, the rookie fast bowler bowling his heart out. Chennai Super Kings were defeated in Nagpur by 6 wickets, as the burly Australian Ryan Harris was on a rampage, as he finished with 3/18 in 4 overs. Their next opposition was the Kings XI Punjab, and the match at Dharmasala ended in style as Rohit Sharma’s 68 not out was a perfect finishers’ knock to hand them a 5-wicket win. And the last group game against the Delhi Daredevils was another success, as the team won by 11 runs in the Feroz Shah Kotla as Symonds hit 54 to win his third man of the match award of the season. Before the semifinals, Pragyan Ojha won the Purple Cap for taking 21 wickets in the tournament. He was the key to the team’s performance in the crunch game as this time the opposition was the Chennai Super Kings. Although they had beaten Dhoni’s men twice in the tournament earlier, Chennai was a different proposition altogether following their last over against Kings XI Punjab in the final round robin game. In the end, Deccan was comprehensively beaten by 38 runs and their dream of winning the coveted prize once again, was tarnished. For the Champions League qualification though, they had to play the other losing semifinalist and incidentally their rivals in the final last season, the Royal Challengers Bangalore in Navi Mumbai. Deccan played appalling cricket as they seemed disgruntled at the fact that they were knocked out of the tournament with humiliation. They were thrashed by 9 wickets as they batted first and were bowled for a total way below 100. Consequently, Deccan Chargers finished fourth in that year’s IPL having won 8 of the 16 games they played in the competition. The 2011 auction saw the Deccan Chargers put all their players acquired in the last three seasons to be sold under the hammer. This led to some murmurs because Adam Gilchrist, Rohit Sharma, RP Singh and Pragyan Ojha were the stand out performers of this team and they could have retained these four players since they had the option to do so. Instead, they decided to revamp the entire team roster, perhaps being tired of seeing the team’s inconsistency. Their most interesting purchase turned to be someone who was known to a very few people in the world, South Australian all-rounder Daniel Christian. He was purchased for as much as $USD 900,000 as the team needed an all-rounder who was talented, in form and available to play for the whole season. While their most expensive player was the South African pacer Dale Steyn, worth $USD 1.2 million followed by Australia’s former T20 captain Cameron White for a 100,000 dollars less. They also managed to buy Kumar Sangakkara for $USD 700,000 and appointed him captain of the team after the auction, as Gilchrist was no more in the team. Whereas, Kevin Pietersen was bought for $USD 650,000 which gave other teams the message that this time the Chargers relied on their foreign players to do the job for them. Deccan were certainly not the favourites to win in the competition, since the balance between the Indian and the foreign players was not perfect. They began their campaign on a sordid note with a defeat to Rajasthan Royals by 8 wickets at home in the first match and to the Kolkata Knight Riders by 9 runs in the second match in Kolkata. However, their biggest achievement till date happened this season itself. They won their first match in Hyderabad in a span of four years, defeating the Royal Challengers Bangalore by 33 runs. Dale Steyn wrecked havoc against his former IPL team with figures of 3/24 in 4 overs. That also got them off mark in the points table. But it was back to square one in the next game as they suffered an 8-wicket defeat in the hands of Kings XI Punjab and a 37-run defeat to the Mumbai Indians at home, and since most of their former players are in this team at the moment, the Mumbai loss was an embarrassing one. However, they won in Delhi by 16 runs as the rookie Sunny Sohal scored 62 against a one-dimensional Delhi Daredevils attack. After the Mumbai loss, they recovered well to defeat Kochi Tuskers Kerala in their backyard by 55 runs as Ishant Sharma took full advantage of excellent bowling conditions, finishing with exceptional figures of 5/12 in 3 overs. But then again, three more defeats at home were to be seen, as Kolkata Knight Riders won by 20 runs and the two other out of sorts teams, Pune Warriors India and Delhi Daredevils chased down targets successfully. Chennai Super Kings won by 19 runs in Chennai, as Deccan’s middle order failed to play Chennai’s spinners well enough. They ended their campaign with a hat-trick of victories, as they took their revenge against the Mumbai Indians winning by 10 runs at the Wankhede with Amit Mishra winning the man of the match award, Pune Warriors India was next and Mishra was the man to do the damage again and Kumar Sangakkara, the captain won hearts for his sportsmanship for walking himself after being dismissed by Pune spinner Rahul Sharma when he was not given out by the umpire. While the last game was against Kings XI Punjab whom they thrashed by 82 runs and opener Shikhar Dhawan won the man of the match award for his 95 not out in the match. These wins were registered away from home. But Deccan Chargers finished with 6 wins in the 14 matches, and so had to settle for the 7th position out of the 10 teams in the competition, as they have a lot to improve on this season as the team has the capability of reaching in the top 5 of the IPL this year. Deccan decided to do a mix of selling and buying players this season. They transferred Kevin Pietersen to the Delhi Daredevils for $USD 1 million, since he was injured in the IPL 2011 and could not play a single match for them and this season he might be unavailable. Yet, this is a surprising decision. Amongst the Indian players, Pragyan Ojha was also transferred to the Mumbai Indians for $USD 800,000 which means that there are hardly any players in the current Deccan Chargers team which played in the first three seasons as well. They bought the South Australian batsman Daniel Harris as well as the West Indies’ batting sensation and Lara-like Darren Bravo in the auction. Not to mention, Indian wicket-keeper batsman Parthiv Patel was also purchased for $USD 650,000, which means that at times Sangakkara might be relieved of wicket-keeping duties or if he is not available, Patel is going to keep wickets for the team and in all likelihood, open the batting as well. Sangakkara was born in Matale on October 27, 1977. He is currently rated as one of the finest batsmen in the contemporary era in all formats of the game, and undoubtedly Sri Lanka’s greatest wicketkeeper batsmen of all time. In the IPL, he was a part of the Kings XI Punjab team for the first three years and captained it in the 2010 season. His leadership has been outstanding, and this is why Deccan Chargers chose him as captain. He needs to be there for as long as possible with his team so that they have a chance to make it to the playoffs. 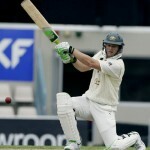 The former Australian T20 captain, Cameron White was born in Barnsdale, Victoria on August 18, 1983. He has been considered to be a T20 specialist till date, but has been woefully out of form in the last 18 months. Yet, no one can underestimate White when he is in his elements. The Victorian played for the Royal Challengers Bangalore in the IPL between 2008 to 2010, before he was picked by the Deccan Chargers and named vice captain of the team. White’s experience will come in handy to an unstable batting line-up and he should be motivated to perform better in Indian conditions, which are batsmen-friendly. Duminy was born in an area called Strandfontein in Cape Town on April 14, 1984. The youngster made his first breakthrough in international cricket with a hundred in the run chase against Australia at Perth in late 2008, which saw South Africa won by 6 wickets. That summer produced such outstanding numbers to his name that he was bought by the Mumbai Indians for a massive sum of $USD 950,000 to play in the IPL in South Africa in 2009 and the following one in India as well. As a T20 batsman, he is remembered by Indian fans for his fantastic and unbeaten hundred against the Royal Challengers Bangalore in the Champions League 2009 in Bangalore, playing for the Cape Cobras as the team won in the final over unexpectedly. Besides, his fielding will also count for the Deccan Chargers success and the fans would be hoping that he strikes good form this year. The other South African in the team, Steyn has gone on to become by far the premier fast bowler in the contemporary era, especially in ODIs and Tests. Born in June 27, 1983, Steyn is the fastest South African to reach the milestone of 100 wickets as his rise has been phenomenal in international cricket, and he has ensured that fans do not miss Allan Donald too much, as his pace as well as line and length is usually spot on and great to watch. However, he can be erratic in T20s which is exactly what Deccan Chargers would not want, but he has the ability to win more matches for the team than any other player and this is why he was purchased for more than a million dollars in the 2011 auction. He would hope to replicate the faith in him by the owners this season. The other foreign players of the team include the South African finishing overs specialist Rusty Theron, England’s opener Michael Lumb and Australia’s Chris Lynn. Whereas the Indian contingent now consists of Bharat Chipli who impressed last season with some of his batting performances, Delhi opener Shikhar Dhawan, Ishank Jaggi, Sunny Sohal, D Ravi Teja, Ishant Sharma, Manpreet Gony and Amit Mishra. These are a bunch of talented cricketers who just have to be led in the right direction, and if Sangakkara is able to do that, then Deccan Chargers should reach the last four of the tournament this year, if not win it. The Hyderabad based franchise suffered the maximum amount of controversies in the first season, since they finished at the lowest amongst the rest of the teams despite being one of the hot favourites to win that year. Shahid Afridi, the belligerent Pakistani all-rounder was said to have massive disagreements with the then-captain VVS Laxman and as a result that hurt the team’s morale to a huge extent. In the following seasons, the Chargers terminated his contract anyway although Pakistani players were not allowed to play in the competition ever since. Sanjay Bangar, the Delhi player was transferred to the Kolkata Knight Riders but did not play a single match for them as he was sacked by that team also in the 2009 season itself. The entire team management was fired following the dismal performance as well with the Australian Adam Gilchrist made the permanent captain of the team, another Aussie Darren Lehmann was named coach in the place of India’s Robin Singh and Tim Wright was named CEO of the Deccan Chargers in place of J Kalyankrishnan. Although Tim Wright is no more the CEO now, for suing the owners of the team due to an alleged breach of contract, as he was to be paid 10 million pounds. The sponsors of the Deccan Chargers in 2008, the real-estate firm Jaypee group cancelled all ties with the team in a year and the team struggled to find the official sponsor for a period of two years, until Ultratech Cement decided to sponsor the new look team of 2011 and is likely to continue to do in the following two seasons, despite the team finishing 7th the last time around. There were rumours that the Deccan Chargers was to be a change of ownership, following the Deccan Chronicle frustrated with its team’s inconsistency in the first three seasons and the lesser margin of profits earned as well in comparison to other teams. The Gujarat-based Adani Group was said to have been interested in buying the team for approximately $300 million anytime between the years 2010 and 2011, which is 3 times the original amount at which the franchise was bought. Although that ensured that the Deccan Chronicle came in the headlines for the wrong reasons, the owners remained the same while another media group, Group M India kept their 20% stake in the franchise as well. Deccan Chargers also came under severe criticism for losing in the first round of the Champions League T20 2009, despite being the IPL champions that year as once again; their home record came under immense scrutiny. The team also had to suffer the brunt of the political crisis two years ago in the state of Andhra Pradesh, but was unsuccessful in finding a proper home ground for the team in a nearby state and as a result the Deccan Chargers had to play in other venues where the crowds supported the opposition teams more than them, such as Cuttack in the state of Orissa as well as Nagpur and Navi Mumbai in the state of Maharashtra. The team management was pointed at for not marketing the team well enough, as the Charger’s dismal home record continued and was one of the reasons why Deccan could defend their IPL title successfully, having finished fourth at the end of the competition. 1) Deccan Chargers was the second most expensive franchise bought in the 2008 IPL team auction, for $USD 107 million by the Hyderabad-based media group, Deccan Chronicle. 2) Deccan Chargers has the worst record amongst all IPL teams in home matches, having won just 1 match against the Royal Challengers Bangalore in 2011 since the last four seasons. 3) Deccan Chargers is the only team to have finished bottom-ranked as well as the top-ranked team in all the four seasons of the IPL. 4) Deccan Chargers is the only team which has seen two of their bowlers winning Purple Caps, i.e. RP Singh in 2009 for taking 23 wickets as well as Pragyan Ojha in 2010 for taking 21 wickets. 5) Herschelle Gibbs has taken the most number of catches for Deccan Chargers, i.e. 22 catches in 33 matches. 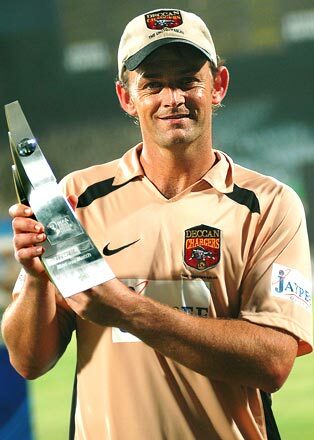 6) Adam Gilchrist is the highest run-getter for the Deccan Chargers of all time, i.e. 1220 runs in 46 matches averaging 27.11, with his best score being 109 not out against Mumbai Indians in 2008. 7) Pragyan Ojha is the highest wicket-taker for the Deccan Chargers of all time, i.e. 60 wickets in 54 matches averaging 22.13, and best bowling figures of 3/21 against Mumbai Indians in 2009. 8) Andrew Symonds was picked by the Deccan Chargers in 2008, and was the most expensive overseas player of that season. 9) Deccan Chargers and Kings XI Punjab had a straight swap of captains, as Adam Gilchrist was bought by Punjab in 2011 and made its captain while Kumar Sangakkara was bought by Deccan the same season and made the team’s captain. 10) JP Duminy is amongst the top 10 run-getters in T-20 internationals. 11) Dwarka Ravi Teja is the only player now who is still in the Deccan Chargers squad, having represented the team in the first three seasons as well. 12) Daniel Christian and Daniel Harris, both belong to South Australia as they have played domestic cricket for the same team in the past in all formats of the game. 13) Jaydev Shah, the young Indian batsman is the son of Niranjan Shah, who is an integral part of the IPL governing council and the former BCCI secretary. 14) Shikhar Dhawan, Ishant Sharma and Amit Mishra hail from the capital city of New Delhi and have played in the Ranji Trophy together for the Delhi team. 15) Michael Lumb was England’s opening batsman, in the team’s World T20 victory in 2010 in the West Indies. 16) Darren Bravo would become the fourth West Indian player to represent the Deccan Chargers, if he is in the playing XI for a match after the likes of Dwayne Smith, Fidel Edwards and Kemar Roach. This also makes the Deccan Chargers the team to have fielded the maximum number of players from the Caribbean over the last four seasons of the IPL. 17) Cameron White, Dale Steyn and Bharat Chipli had played together for the Royal Challengers Bangalore in the first season of the IPL as White and Steyn continued for the same team in the next two seasons as well. 18) Parthiv Patel and Manpreet Gony had played together for the Chennai Super Kings in the first three seasons.